Foam block or aerocrete - which is better? The foam block is called one of the varieties of concrete with a honeycomb structure and made of foam. In fact, the foam block of cement is an artificial stone with uniformly distributed pores. It is very easy to use, light enough and very durable, comparable only with the tree, its environmental properties. What to choose: keramzitobeton or foam block? 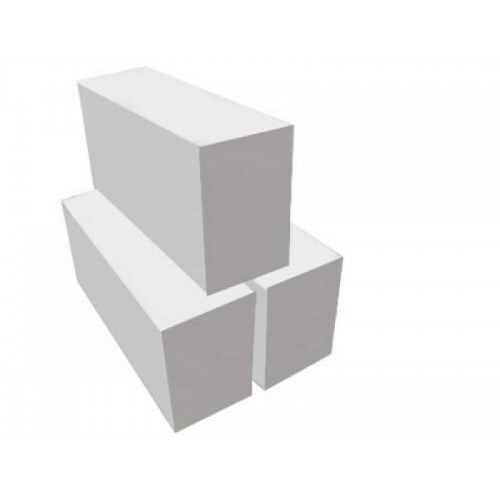 The foam used for the manufacture of concrete blocks consists of plant and animal raw materials and, accordingly, does not bring absolutely no risk to human health. In the manufacture of the concrete used large fillers penobetonstroy and granite, belonging to igneous rocks and characterized by a high content of radionuclides. Also used sedimentary rocks, such as limestone, chalk, quartz Sands, which have a small amount of natural radionuclides (ERN). Clay and clay materials contain a very large number of ERN and at the same time have a high adsorption capacity. As part of the foam blocks includes lime and silica sand, not crushed granite, the contents ERN is very small. The quality of the sand, which is used in the production of concrete blocks must conform to the required standards and quality standards. The use of contaminated materials ERN and heavy metals fully on the conscience of manufacturers. In order to use the construction materials and foam blocks did not cause serious bodily harm, to get them you must have a large and trusted manufacturers while checking supporting documentation on materials (ecological certificates of conformity, proof of the absence of radiation, radionuclides and sanitary-hygienic conclusions). A very dangerous feature of radionuclides – their accumulation in the human body and then exposing the body to radiation inside. A very strong negative impact on the immune and reproductive system. But at the beginning of exposure, externally, you never see the person any disease. - problems with the gastrointestinal tract. Purchasing building materials, always check the certificates and quality documentation for purchased goods, do not succumb to the best offer at a ridiculous price, because health is priceless.